Facing Issues Below With Your China Entity? Since PRC's new labour law came into effect on Jan. 1, 2008. the employment in China is becoming more and more complicated, more so if you operate a national wide business. At mean time, China governments tend to revise minimum wage levels and welfare on an annual basis. Handle staff employment and resignation formalities, and transfer personnel, archive, organisation and social security relations. With experiences in providing HR services and related legal support, we are able to provide diversified employment-related legal services for enterprises according to the characteristics of the industries they are in and their specific needs, including the drafting and review of legal documents such as labor contract and employee handbook, legal consulting, etc. The aim is to give legal support to enterprises in employing people according to due standards and help them establish an effective legal risk prevention and control system. 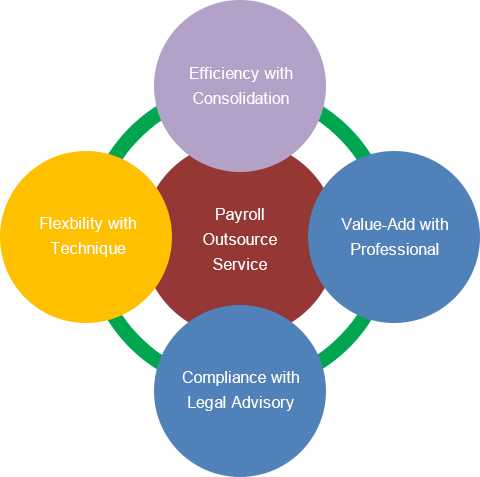 We can provide flexible corporate Payroll services that improve payroll management for employers of every size. We handle the time-consuming tasks of payroll processing and employee payroll tax filing so employers - regardless of their size - can focus on their own business. Basic salary, allowance and reimbursement, attendance record (including personal leave, sick leave, overtime), bonus, commission and deduction, etc.